In today’s world of every growing technology and ideas, companies come and companies go. Most of them exit the scene as rapidly as they climbed the top of the ladder. GoPro is such a success story. Despite still having a relatively good footing in the market, it will be difficult for them to make a comeback unless they change their ways. Action cameras have been there for a while now and it all started with GoPro itself. In 2002 Nick Woodman went on a surfing trip and quickly realised that there was no way to take excellent quality photographs while in the water. 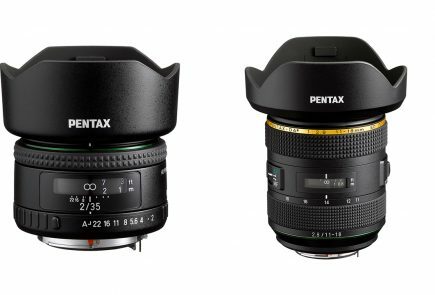 While most photographers shooting surfing images usually used DSLR with long tele lenses from the beaches, buying these lenses and equipments and hiring photographers were an expensive affair. This led to the birth of the desire to shoot professional images in dire situations and adventure sports. In 2004 GoPro built it’s first camera that used 35mm film. 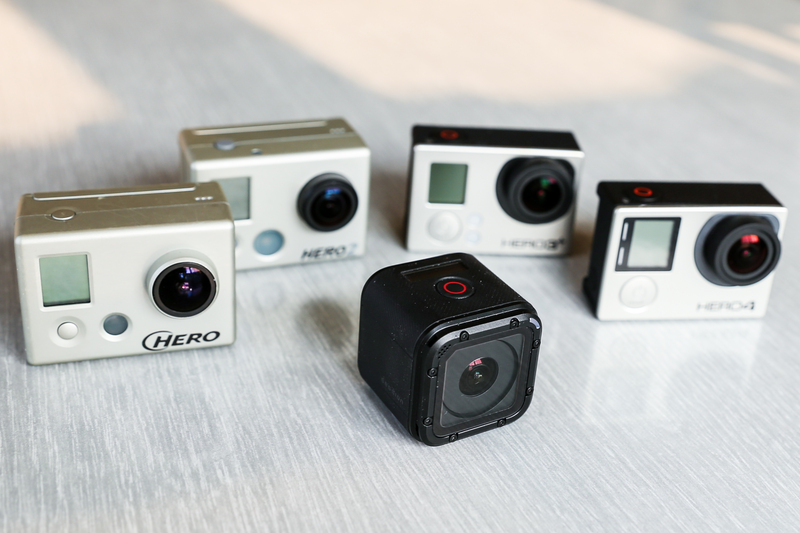 The Hero lineup that we see today was born as the GoPro 35mm HERO in 2004.In its first year they sold $150,000 worth of products. Then in 2006 the Digital HERO was released. 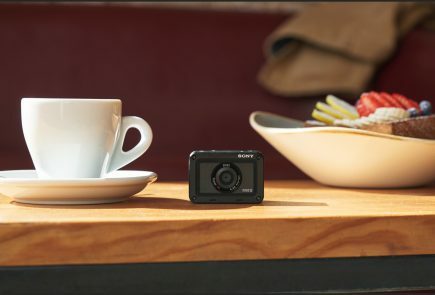 The camera shot 640×460 resolution photos and VGA definition 320X240 (10 fps) video for a maximum of 10 seconds. The Digital HERO had 32 MB of internal memory without an SD card slot. Over the years, small improvements were made and the Digital HERO3 was released in 2007. It featured a 3-megapixel camera and shot standard definition 512×384 video. The latest GoPro, which is the Hero 7 shoots 4K images at 60 fps, came after several iterations of the HERO lineup. The cameras that were released between the Hero digital and Hero 7 were Digital, Digital 3, Digital 5, Digital Wide, HERO 2, HERO 3, HERO 3+, HERO5, HERO6, Fusion and HERO (2018). While the development and refining was constant and very smooth, the time taken to do it was not in their favour. But before we go into the reasons of the revolutionary company’s eventual failure in the market, let’s discuss why it succeeded in the first place. GoPro was released at a time when cameras were bulky accessories that only photographers would buy. Yes, there were point and shoot cameras available, but these cameras were extremely brittle, untrustworthy and weren’t the greatest performers. In other words, they underperformed both in terms of image quality and build quality. Since Sony’s introduction of the world’s first ‘digital’ camera in 1981 called Mavica, there was very little in terms of research and development done in this sphere. While the DSLR technology was being improved with leaps and bounds, the compact camera segment was falling behind. Rangefinders were still in fashion and so was 35mm film. With little or no access to personal computers, the day to day consumer was more inclined towards having a film camera and saving printed positives. What set the GoPro 35mm Hero apart from the rest of the point and shoot cameras was its ruggedness. It was also quite famous for being small and handy. The camera measured in at just 2.5 x 3 inches (64 by 76 mm) and weighed a mere 0.45 pounds (200 grams). What you got with the camera was a clear case with quick release, a camera strap and a ski glove adapter lash. It was functional in water to a depth of about 15 feet (5 m). The camera was marketed as a “reusable wrist camera” and included a roll of 24 exposure Kodak 400 film. Many photographers as well as day to day users such as students on a spring break, travellers and family members were using it. People in the United States love water, be it surfing, diving, river cruise, beach holidays or just a simple day relaxing at the pool. The camera struck a chord with these users. For a time when cameras had to be taken extreme care of and maintained like a family jewel, this rugged camera with a case and waterproofing was an excellent choice. Another extremely important reason for the GoPro Hero 35mm’s success was its pricing. 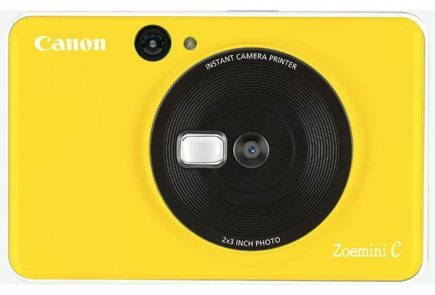 Priced at just $20, it was an extremely good deal for photo enthusiasts and families alike. As time passed, the cameras became digital and so did people’s ways of interacting with technology. Everyone who was even slightly well off had a personal computer. At the Worldwide Developers Conference keynote address on June 6, 2005 which is a year before the first digital GoPro’s launch, Steve Jobs announced that Apple would begin producing Intel-based Mac computers in 2006. The world around GoPro changed and so GoPro changed along with it. They shifted to digital which was widely accepted by the people. But it also was a sign for future historians to look into since that was the last quantum leap that they took. At least till 2018, when this article is being written. Now that we have a basic idea of where GoPro was headed, let’s find out what led to the near shutdown of the industry leader. GoPro was never doomed for failure. They had, what people in the industry call the first mover’s advantage in a segment in the photography and videography industry. A segment that they created themselves. 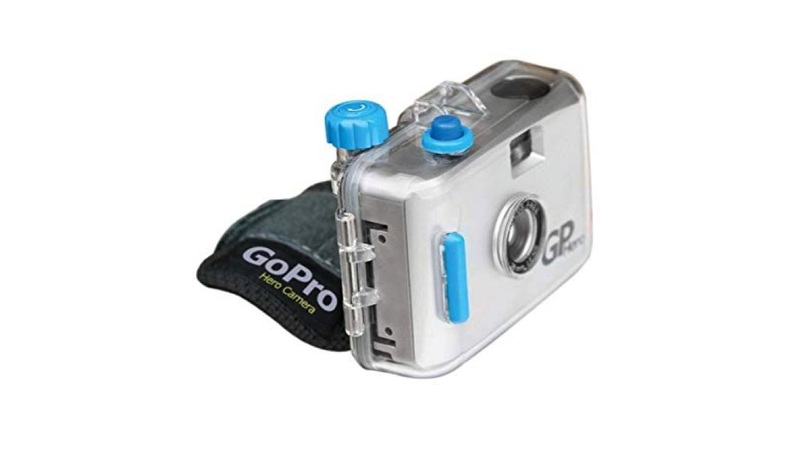 Just as the word Xerox had become synonymous with Photocopier machines after the inventors named and trademarked their process under that name, action cameras were at one point known as GoPros. This was because they were for the longest time, the only players in the action camera market. So how did it all change? 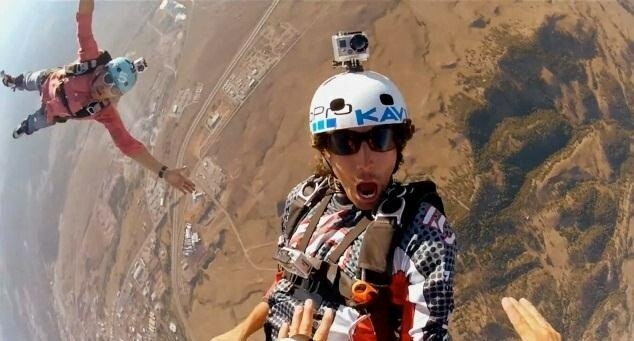 GoPro, being the leader in a market that previously did not exist, took the sales figures for granted and did not pay heed to what the future of the company was. A company, specially in the tech industry, needs to constantly keep innovating in order to compete. GoPro understood the position it stood in – great sales figures, stock prices increasing, newer markets such as India, South East Asia etc opening up. These made them oblivious of the fact that they need to make their company future-proof. For the longest time, their Hero series of cameras just saw incremental upgrades. This was in terms of video resolution, sensor size and durability. There were very few path-breaking innovations from them. The prices of the cameras kept increasing. 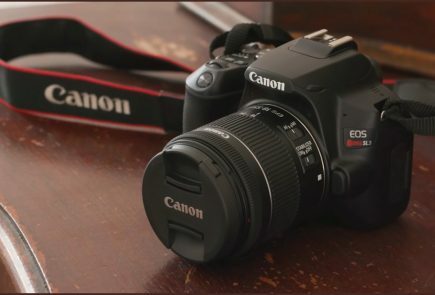 This was partly due to the difficulty to fit all the features that the camera offers into such a tiny package without compromising on the durability. And partly due to them wanting to make huge profit. Their understanding of customer bases were different from their expectations of the same. They wanted to be a niche for adventurers, travellers, trekkers who could afford a $400 camera which gave a decent output but worked on adverse conditions. However the majority of customers for the company were just average day to day people. 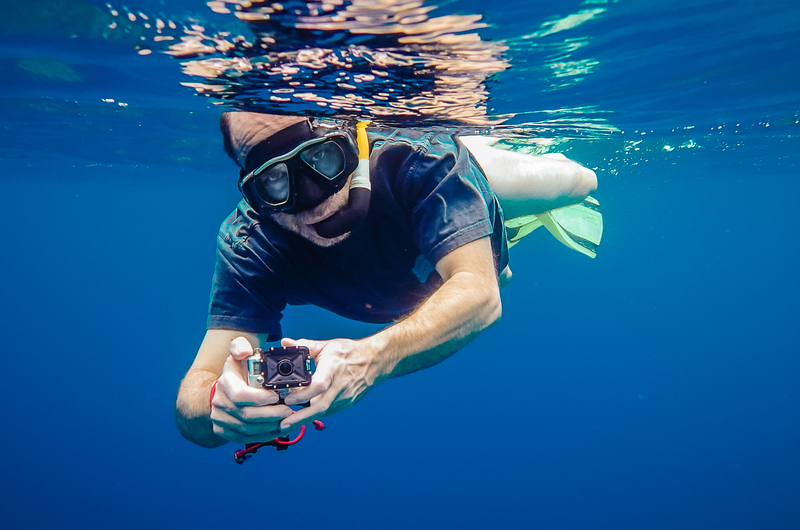 When it comes to action cameras, buying just the camera is never enough. These cameras require different accessories for different activities. These accessories become a part of the investment that one considers before buying an action camera. The GoPro accessories come at a very high price. For students and young enthusiasts, buying these accessories become extremely difficult. Especially when similar accessories are available in websites such as Aliexpress, Ebay and Gearbest. 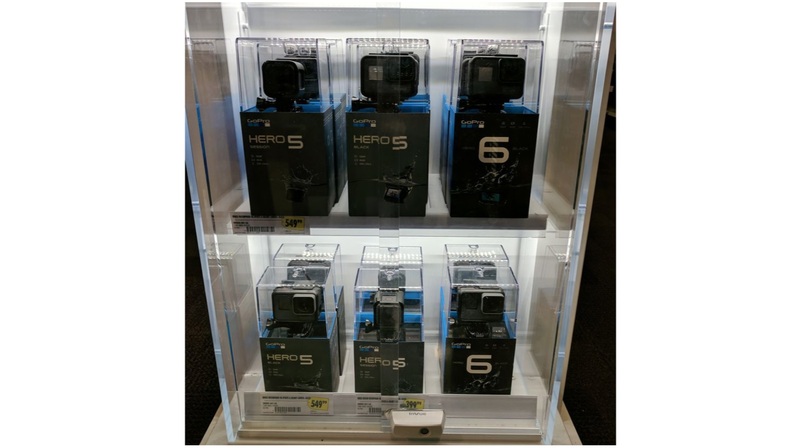 Another major reason for GoPro’s failure was the lack of understanding of the market. They did not expect or receive any competition from the smartphone market at the beginning of their journey. But as smartphones started to get better and smarter, cameras in smartphones also got better. Every person had a camera in their pocket and GoPro’s USP of it being handy and powerful became redundant. Smartphones became waterproof and much more rugged. GoPro was slowly falling behind due to it’s lack of uniqueness. Both it’s unique selling propositions – ruggedness and being small and handy- were not ‘unique’ anymore. They failed to understand how the market was growing and developing. And they failed to adapt. While their rivals slowly moved into the action camera, drone and gimbal business, GoPro joined the party much later. GoPro wanted to become a niche and desirable product that catered to adventurers, surfers and travellers. Their main customer base was skaters, skiers, holiday makers and just about any average person. While they listened to their ‘Pro’s, they completely forgot about their other customers. They promoted their products using professional athletes and adventure sports enthusiasts. They failed to really showcase how an ordinary family man or woman could use their product too. A person who was thinking of buying an action camera saw only surfers and divers and such using these devices. This led to the customer deciding against buying a GoPro because they felt that the product probably wasn’t for them. This might have been the final nail in the coffin. GoPro was executing their tried and tested formulae over and over again. Meanwhile companies like DJI, Yi and SJCam were developing action cameras, gimbals and drones. GoPro failed to notice the market shift towards drones and birds eye shots in videos and vlogging. YouTubers also slowly shifted to powerful point and shoot cameras. These included cameras such as the Sony RX100 series, Canon’s G9X series. Some even shifted to higher-end and bigger cameras like the Panasonic GH5. While GoPro was releasing it’s first digital action camera, the founder of DJI was still studying in college. However, in 2018, DJI has completely taken over the drone business. So much so that GoPro has finally shut down their drone division and laid-off a lot of employees to cut losses. Their understanding of the market and industry needs to improve. Within a week of the GoPro Karma launch, DJI announced their own drone – the DJI Mavic Pro. The Mavic Pro was better in terms of features and specifications thus beating GoPro to their game. DJI created quality products at a competitive price. 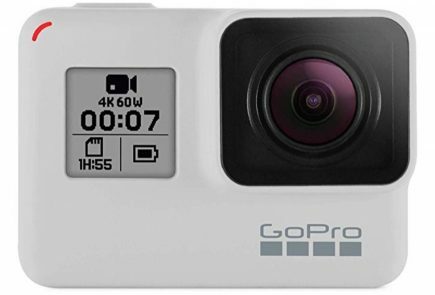 GoPro needs to reduce the prices of their accessories so that more people feel comfortable in investing in a GoPro ecosystem. GoPro badly needs to streamline their work and employees if they wish to stay afloat. New investors are also something they should look into, to keep the company afloat. 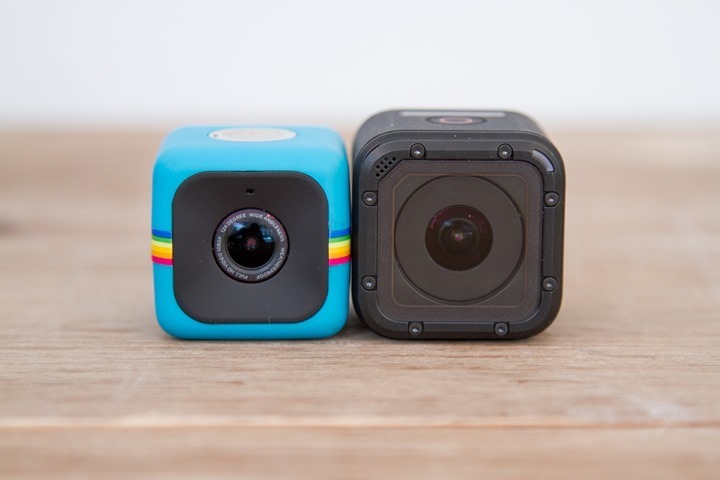 GoPro needs to get a grip on the ‘Next big thing’ that may hit the market. This will give them a head start compared to Chinese companies who are always on the lookout for the same. They also need to start looking at and listening to customers. They need to market their products by tailoring specifically for consumers. The company has already started to do that through their Instagram account that accepts entries from users. They still need to unify their App ecosystem which now consists of the GoPro App which is 97Mb, Quik App which is 100Mb and Passenger 43Mb. It would be extremely useful if all the three apps were unified into one single app. They also need to give developers more access to their hardware. 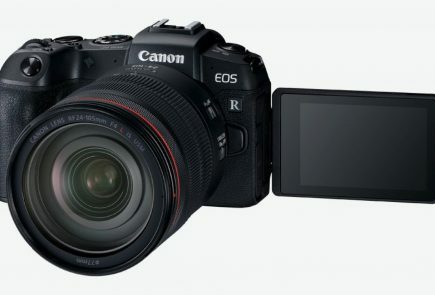 This will enable customers to make their cameras more useful in their respective businesses by tweaking the firmware. All in all, GoPro needs to understand the pulse of the industry. They need to create a great marriage of hardware and software. Being user friendly and affordable will also factor in, if they wish to survive in the cut-throat market of technology.